At Irondequoit Ambulance, we’re more than just ambulance drivers. Our team of extensively trained medical and pre-hospital care specialists can do almost everything an emergency room can do within the first 20 minutes. Let us help you make sure your child safety seats are installed properly in your vehicle. Our team of skilled EMTs and Paramedics provide expert, rapid-response Basic and Advanced Life Support ambulance services and pre-hospital ER treatment. Looking for a fun and rewarding way to be hero in times of need? 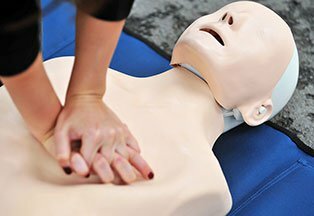 Learn more about our upcoming BLS CPR training courses at our Irondequoit NY location. While we primarily serve areas covered by Ridge Culver, Laurelton and Point Pleasant Fire Departments, we also support the needs of many towns throughout Rochester. 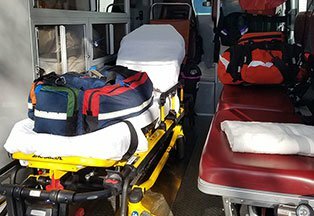 For over 35 years, the ambulance and medical specialists at Irondequoit Ambulance, Inc. have been working tirelessly to help save lives throughout our local and surrounding communities. Since first opening our doors in 1982, we’ve consistently strive to improve the quality and responsiveness of the emergency medical services we provide, which includes making substantial investments in vehicles, medical equipment, communications and the most talented team of EMT's and Paramedics. Our headquarters is located at 2230 Norton Street in Irondequoit, where we operate 24 hours-a-day, each and every day of the year.